Power Systems Testing Company can provide qualified technicians utilizing the proper personal protective equipment (PPE) per the NFPA 70E standards and the latest technology in Infrared Cameras. 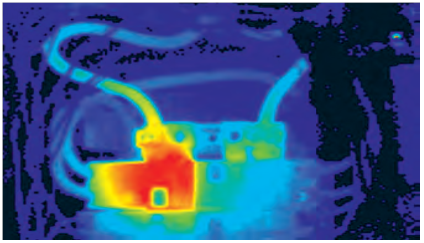 The primary benefits of infrared thermography are that tests can be performed quickly and without destruction to equipment. Also, since thermal imagers do not require contact, they can be used while the equipment or component is in operation. IR cameras measure surface temperature only. The notion of being able to “surface scan” is not true, regardless of the type of imaging system or the skill of the thermographer. At best, there may be some indication of internal heating; at worse, there will not be a detectable signature. Gaining safe access to the enclosure is essential, either by opening it while it is under load, de-energizing it and then opening it and inspecting immediately thereafter, or by use of IR windows or viewports. One way that NFPA 70E determines hazard and risk is based on the activity that you are conducting around the equipment. The scale is from zero to 4, where 4 has the highest risk potential. 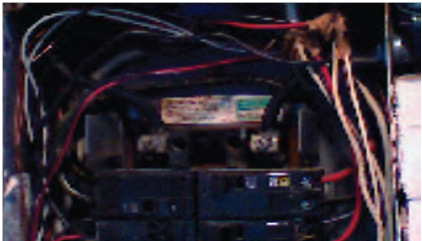 For example, removal of a bolted cover on 600-volt equipment carries a hazard/risk classification of 3 and that goes up to a 4 on anything greater than 600 volts. As this work occurs within the flash protection boundary, the appropriate PPE must be worn. The required minimum PPE for Hazard/Risk Classification 3 work is to withstand 104.6 J/cm and the required minimum PPE for Hazard/Risk Classification 4 work is to withstand 167.36 J/cm. As much of the work performed for an IR inspection requires removal of bolted covers, this is the PPE that is required. Additionally, NFPA70E recommends that only qualified personnel be allowed to perform work inside the flash protection boundary. A thermographer must be accompanied by a qualified person to remove covers. Both the thermographer and the additional person should be in full PPE. or indication. On an obvious level, this may be as simple as a noticeable vibration, sound, or temperature reading. On a subtle level, the root cause of the problem may be difficult or impossible to discern. A thermal signature is a false color picture of the infrared energy, or heat, being emitted from an object. Comparing the thermal signature of a normally operating piece of equipment to the one being evaluated for abnormal conditions, offers an excellent means of troubleshooting.